It is a cold January evening. You are working late at the office, frantically trying to complete a major project when your computer crashes and the lights go out. Fumbling through your desk you locate a flashlight you had stashed “just in case”. With the aid of a little light, you make your way to the windows hoping to see the extent of the outage. Your frustration turns to despair as you look out and see nothing but the wind driven snow in the moonlight. The entire city is in a state of complete darkness. You decide to call your family to tell them you will be even later than expected. Dead silence is all you hear from the phone and your heart sinks. “Stupid phones!” you mutter as you drop the handset back in the cradle. Puzzle pieces begin to come together as you sink back into your chair. You grab the radio you use while walking to work each day and run through the presets. Hoping to hear music or even commercials, your worst fears are confirmed as you hear nothing. Panic grips your heart as the last puzzle piece drops in place. Grabbing your coat, you bound down three flights of stairs and run the six blocks home. You hit the “Scan” button on the radio as you race home. After what seems like eternal silence, your greatest fears are confirmed with the Emergency Broadcast System’s annoying alert tones and the announcement, “A devastating electromagnetic pulse (EMP) has disabled power, communications and other electrical and electronic systems throughout much of the country.” All persons are advised to take cover in basements or other protected areas. Please stay tuned to this station for further news and emergency information.” The only EMP hardened radio station in your area has just defined your future. Do you understand the implications of what has just happened? Do you have the knowledge, skills, supplies, and tools to take care of yourself, your family, and others? Will you be part of the problem or part of the solution and courageously take part in rebuilding and restoring? The answer will depend on what you have done to prepare for this event. The purpose of this article is to educate and motivate. What is an EMP? What are the possible consequences? How can I prepare for an EMP? How do I respond if an EMP occurs? An electromagnetic pulse (EMP) is generated when a nuclear weapon is detonated. The higher the denotation occurs, the larger the area affected. Detonations at an altitude of 40 kilometers (about 25 miles) or higher are generally referred to as High-Altitude EMP or HEMP. For purposes of this article, I will generically use EMP to cover HEMP also. 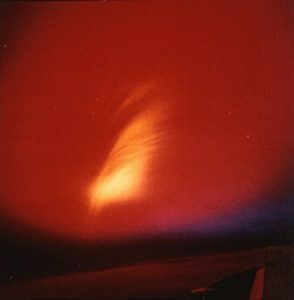 EMP effects are based on “line-of-sight.” One nuclear weapon detonated 200 miles above the earth could cause serious damage across the entire continental United States. 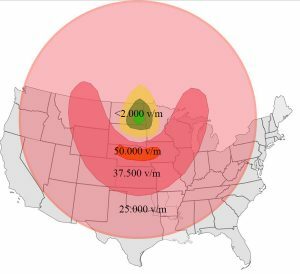 Even if an EMP occurred in only a portion of the country, there will most likely be a ripple effect impacting the rest of the nation. This strong electrical energy pulse is collected by metallic pipes, wires, cables, conduits, or other “antennae” much like a radio signal is collected by a radio antenna. The high voltages and currents induced destroy many types of electrical and electronic devices and systems, including the power grid, communications, computers and many other systems that run our world. Lightning and surge protectors are generally ineffective in protecting against EMP. Although not directly harmful to humans, the indirect effects of an EMP will be devastating to society. EMP is but one of several kinds of events that could result in a long-term grid-down situation that could leave large portions of the country without electricity for a long period of time, likely months or more. Let’s discuss what this means. 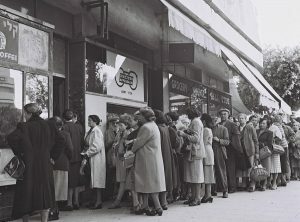 What Are the Possible Consequences of a Long-Term Grid-Down Event? The United States is the most technologically advanced nation in the world making it the most vulnerable country on earth. Our adversaries understand this and are actively seeking opportunities to improve their ability to inflict an EMP on us. Transportation will be severely hampered. Power and communications systems will be disabled. Our ability to produce, refrigerate and distribute food and necessities will be almost non-existent. Hospitals and health care facilities will be largely inoperable. The ability to produce clean drinking water and manage human and other waste will be severely diminished. Our vulnerability to disease and death will increase dramatically. Air conditioning and most heating will be gone … and the list goes on and on. Indeed, our world, as we know it, will be drastically altered, say back to the year 1880. What Are the Possible Scenarios That Might Result in an EMP? An act of terrorism, similar to “9-11”, only on a much larger scale. A precursor to war. Military strategists for decades have assumed that any large scale military action (particularly a nuclear assault) would be preceded by an EMP to disable communications, create commotion, and diminish the ability of the military to respond effectively. In either case, there will be a “disturbance in the force” literally and figuratively. Individuals and families have very little control over these events. This is a daunting and complex problem, and solutions are not easy, but for a variety of reasons our nation has not effectively dealt with this or other serious threats. It is critically important that we take a defensive approach and make necessary preparations that will provide protection during these challenging times. How Can I Prepare for an EMP? 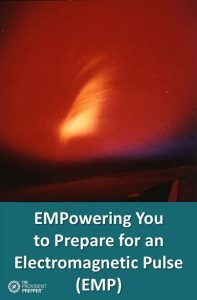 The window of opportunity to prepare is now before an EMP, or another serious event occurs. Review the following list, decide where you need to improve and get to work making those preparations. Build a supply of water and food. Store at least a two week supply of water, more if at all possible. Purchase equipment to purify water and understand the principles behind creating safe drinking water. Learn how in our post How to Store Water for Emergency Preparedness. Start with a three month supply of foods that you normally eat. (Visit 3 Month Supply of Food: Amazing Peace of Mind to learn how to get started.) Keep building until you have at least one year of basic provisions that provide energy, nutrition, and emotional satisfaction. Remember to include garden seeds. Details on building a year supply of basics can be found at Long Term Food Storage: Creative Solutions to Build a Critical Asset. Consider ways that you will be able to cook the foods you store. There are many good options including propane, charcoal, alcohol and my favorite, cooking with the sun. Click here for ideas to understand your options, along with their safety considerations. Consider sheltering options. Sheltering in or very near your home is preferable if you have, or can reasonably build, a workable shelter. Your shelter should be stocked with life’s necessities and also things to pass time such as games, books, movies, hobbies, projects, etc. Develop a prioritized list of things to be accomplished in the short time that you may have after an EMP occurs and before the next possible event. Review this list with your household members so everyone understands what needs to be done. Select a “chain of command” so that someone will be effectively directing the effort. Provide for alternative sanitation inasmuch as water and sewer systems will likely be inoperable. A little creativity and research will yield some good solutions, although they will not be as “nice” as the methods to which we are spoiled. Sanitation is probably my greatest concern. When public sanitation systems go down, things get messy (very literally). Learn about preparing for emergency sanitation here. Build or purchase (if you can find one) a power loss alarm that will alert you when grid power is lost. When this alarm sounds; check a phone for dial tone and check several, particularly non-hardened, radio stations with a battery powered radio. If all is normal, go back to bed or whatever you were doing, unless it requires electricity, as so many things do. If your tests suggest an EMP, an adrenalin rush will follow and the next section of this article becomes important. Radio options include; a shortwave radio, GMRS Radios, CB Radios, amateur (HAM) radio gear, and of course a good AM/FM radio. Having weather band is nice and I strongly recommend the NOAA Weather/All Hazard Alert capability. Learn about your options, and decide what works for you. In an emergency situation, it is certainly nice, and perhaps essential, to have good information available to you. It is also extremely helpful to be able to talk to others, close to home or halfway around the world. Generally speaking, and especially in an escalating crisis, keep radios disconnected from grid energy sources and keep antennas disconnected or collapsed down. Cords should be wound into a small coil. Use only one radio system at a time, making sure that other systems are protected. Radios and other electronic/electrical components, including spare parts, should be protected by putting them in a Faraday cage such as an old microwave that has the cord cut off, a metal can and a metal lid that makes good electrical contact, Faraday bags, or other appropriate Faraday cage designs. There are other possible ways of providing protection against EMP, but they are beyond the scope of this article. Basically, you need to build a metal box to protect this equipment and then store the equipment in the box when not in use. You can test to see if your metal box will work by placing a cellular phone in the box and then see if it will prevent the cellular phone from receiving a call. If the phone will not respond, then your box should be effective in preventing damage from EMP. You can search the internet for topics such as “EMP protection” or “grounding systems”. Make provisions for back-up energy supplies. This might include a generator, solar modules, and/or wind turbines protected in Faraday cages. Energy from these devices and other such generators of electricity can be stored in a battery bank and used directly or through an inverter to create “household power”. I also suggest that you properly store a safe and legal quantity of fuels. Click here to learn how to safely store fuel for emergencies. Keep bicycles and other alternative means of transportation in good repair and have extra parts on hand to make repairs when necessary. Consider having a quality trailer that will attach to your bike. Some cars will be operable, but getting fuel may be difficult. Invest in a variety of good tools. Include a radiation survey meter and dosimeter in this list of tools. How do I respond to an EMP? If you do not have preparations in place, use your time and resources to meet the basic needs of food, water, shelter, sanitation, and communication. You will be competing with large numbers of people seeking limited resources. Survival will be extremely difficult. 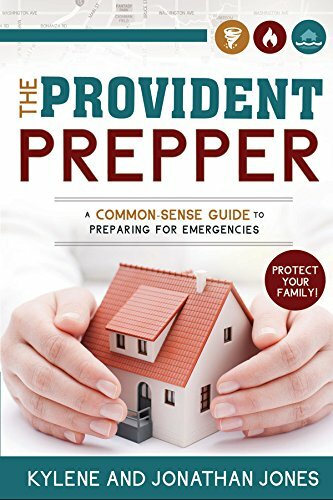 If you choose not to prepare, you are part of the problem. Don’t count on the government or anyone else to save you. In contrast, if you have prepared by creating a plan and implementing preparedness objectives, an EMP (or other events) and whatever may follow will be inconvenient and somewhat challenging, but chances are good you will get through it. Produce a prioritized task list so you will know exactly what needs to be accomplished, if time allows, before seeking shelter. This will provide you with tremendous advantages in getting through the crisis. Once your critical resources are where you need them, you can focus on making the best of a bad situation. You will be part of the solution as you reach out to others and ease their burdens. Enlist those around you to courageously create order and rebuild lives. The threat of an EMP (or another long-term grid-down event) is real. Many experts argue it is more a matter of when, than if, it will happen. I certainly hope they are wrong, however; many of our adversaries have the ability to accomplish an EMP strike (or a similar event) today. These hostile events could send our nation into third world conditions. The effect of an EMP would be devastating. Our best defense lies in our personal and community preparations. These provide great peace of mind, the necessities to sustain life and buy us time to adjust and create solutions. Make a plan today and take the necessary steps to accomplish it. In the words of John Greenleaf Whittier, “For all sad words of tongue and pen, the saddest are these, ‘It might have been’.” I challenge you to take action now!